Syhunt Dynamic comes with a wide array of features to detect and help you fix your web application security vulnerabilities with minimal effort. Simply enter a start URL and get detailed vulnerability information right away. Syhunt Dynamic maps the entire web site structure (all links, forms, XHR requests and other entry points) and locates custom, unique vulnerabilities by simulating a wide range of attacks/sending thousands of requests. The scanner behaves as Chrome, Firefox and IE, and even simulates user interaction (key press, mouse click, etc). 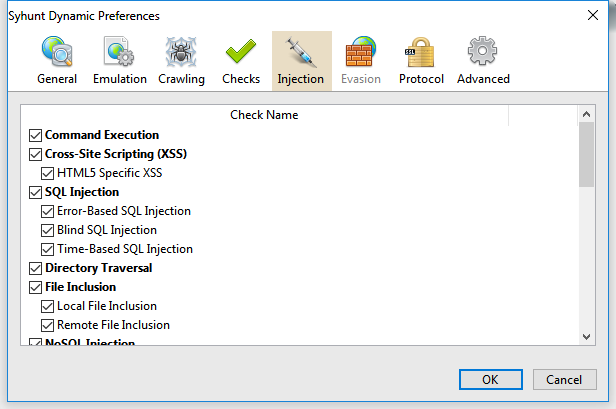 Tests for SQL Injection, XSS, File Inclusion and many other web application vulnerability classes. While performing a scan, Syhunt injects data in the web apps and subsequently analyzes the application response in order to determine if the application code is vulnerable. When used from within Syhunt Hybrid, the Syhunt Dynamic scanner is able to expand the scope of the web application security testing, covering the web app source code as well. 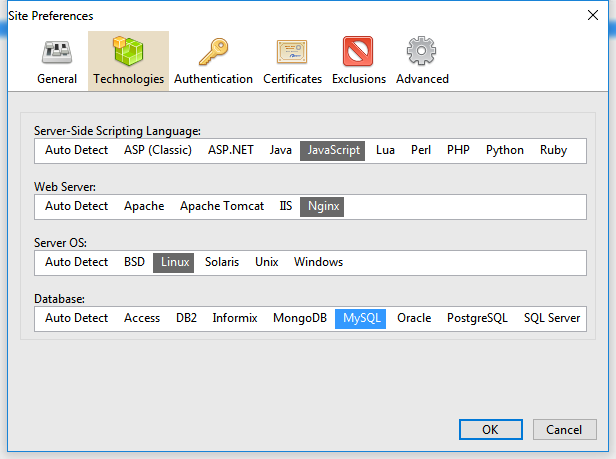 Supported languages include ASP, Java, JS, Lua, Perl, PHP & Python. Syhunt Dynamic integrates with Jenkins for Continuous Integration (CI), JIRA and GitHub for issue tracking, and F5 BIG-IP Application Security Manager (ASM) for virtual vulnerability patching. Syhunt Dynamic comes with full support for the Common Vulnerability Scoring System, an industry standard designed to convey vulnerability severity and help determine urgency and priority of response. When a report is generated, vulnerabilities are sorted by default based on their CVSS3 score. Syhunt Dynamic offers the degree of flexibility and versatility required to support any web environment, anywhere. It has been designed to intelligently handle complex, large web sites and automatically adapt to different web environments and technologies. 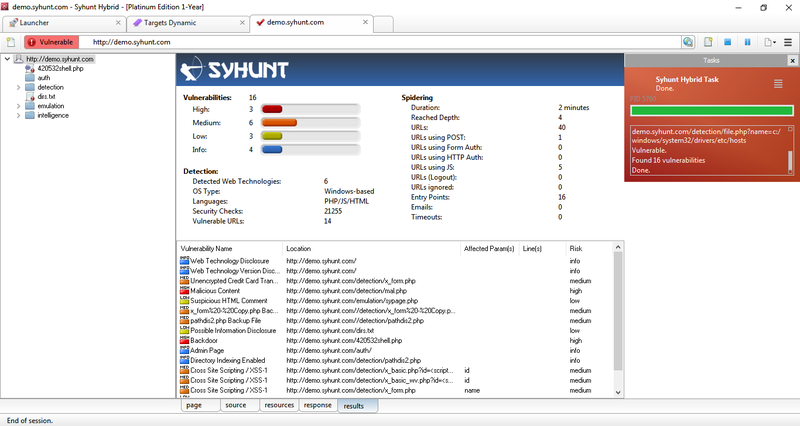 Syhunt Dynamic allows you to scan for the top vulnerabilities attackers use against web applications. The OWASP Top Ten is a list of vulnerabilities that require immediate remediation. Existing code should be checked for these vulnerabilities immediately, as these flaws are being actively targeted by attackers. The OWASP Foundation encourage companies to adopt the OWASP Top Ten as a minimum standard for securing web applications. The SANS Top 20 includes step-by-step instructions and pointers to additional information useful for correcting the security flaws. The SANS Institute updates the list and the instructions as more critical threats and more current or convenient methods of protection are identified. It is a community consensus document. The Syhunt scanners fully supports CVE (Common Vulnerabilities and Exposures) & CWE (Common Weakness Enumeration), being able to scan for the top CWE entries related to web applications. Syhunt is also on the Mitre Corporation's CVE-compatible list of products and services. The Mitre Corporation is the author of the standard itself. ...one of the most effective and valuable tools on the market today. Tools like Syhunt make an application's vulnerability much simpler to detect, no longer requiring a �hacker� level skill set.